In modern days due to paucity of open terraces and fast life we also need to change.Take some mustard seeds (approximately 100 grms) on to a paper plate. Place this paper plate in a microwave oven and dry roast the mustard seeds on high power for 35 to 40 seconds. These seeds are to be removed from the oven just before the first mustard seed would crackle. Keep a watch on the Oven and remove the mustard seeds earlier than 40 seconds if required.Take these roasted mustard seeds in a bowl and allow them to cool till warm to touch. Remember they should not become cold. They should be warm enough, as though they have been put in sun and brought home just now. Don’t be tempted to roast them on anelectric or gas stove. The heat would be more and uneven roasting takes place. Take a clean and dry mixie jar and add some roasted mustard seeds. Grind them to a powder. In between open the mixer andmix once with a spoon, before grinding again.As mustard seeds are crushed, oil oozes, and the powder sticks to themixie jar (more to its base). So loosen the crushed mustards with a spoon and powder them. The powder will be slightly coarse. It would never become fine powder due to its cover. The more you attempt to make it a fine powder, more oil oozes out and it becomes sticky. You are the best judge to decide the optimum grinding. Do not sieve the powder. Like this, powder all the mustard seeds and measure the required amount of mustard powder using a weighing machine. 2.T ake a handful of mango pieces into the oil in the basin and coat each piece nicely with oil. 8. Now repeat layering once again. Like this finish off the mango pieces, chick peas and fenugreek seeds by layering. Pour the remaining oil on top of the avakaya mixture and cover the jar. Do not cover the jar tightly. Keep this jar aside at a dry place for 48 hours. The sour mangoes when mixed with salt in the avakaya masala mixture, oozes moisture. This process will take 48 hours. After 48 hours the pickle will be wet as water oozes from the mangoes. We need to remix the pickle.In the process the mixture becomes more compact and you would observe that the volume has decreased. 9. For proper and even mixing we would be using our hands. Thereforewash, clean & wipe your hands till dry. Take a broad and deep vessel which is totally dry. Transfer the pickle from the jars into this broad vessel. Mix the pickle well. If the pickle is too dry add some oil and mix well. If it is sufficiently wet do not add the oil at this stage. Transfer the pickle once again to the jars. Earlier we have used 250gms of oil. Now add the remaining oil (350gms) to the jars. See that the pickle is having a thin layer of oil above it. Clean wipe the edges of the jar with a clean and dry paper napkin. Close the lid of the jars and store. For daily use, take a small quantity of pickle into a clean and dry jar. Avoid using the main pickle jar for daily use. Presuming one raw mango weighs 250gms, we get approximately 215gms of mango cut and cleaned pieces and 35gms of JEEDI (Seed).It is advisable to base all our calculations on the weight of the mango pieces. Take firm and big mangoes. It is necessary that the mangoes are raw and creamish in color when cut. The mangoes should taste sour. The taste of this pickle is proportional to the sourness of the mangoes. When the sour mango pieces come in contact with salt in the avakaya mixture they ooze out water. That water helps in moisting the Masala in the pickle. However, when water oozes out there are chances of it spoiling the pickle. So the salt we add saturates the water and also acts as the balancing ingredient to the sourness of mango. It works as a preservative for the pickle.If the sourness is too high you may need to add extra 5 – 10 grams of salt for 215 gms of mango pieces. If they are not that sour you may reduce the quantity by 5 gms. In any case ensure that the salt content is not less than 50 gms for 215 gms of cut mango pieces. Check, preferably after 96 hours before deciding to add more salt. Pickling is a job where all family members are supposed to be involved. The couple goes to the market to collectively choose the right mangoes (so as not to blame each other during the later part of the year). Children would clean them and dry them, Husband would cut the mangoes, Children would remove the Jeedi and Poralu, and Wife would grind the Masala. Towards the end the couple would be coordinating to mix all the ingredients and pickle the mangoes.If all (small and big) in the family are involved, mango pickling is a fun. It tastes great because every one’s love (key invisible ingredient) is also mixed with it which is enjoyed throughout the year. Those who like Garlic, may substitute Garlic for Chick Peas. Husked Gingely Oil is preferable depending upon availability (Initially it may taste slightly bitter). If not, use any other refined oil locally available. meeru vantakaala gurinchi chaalaa baaga, suluvu ga vivaristhunnaru. Dhanyavaadhaalu. Kabuli Chana is not a must in Avakaya. The recipe suggested by you and a few more are on my list of recipes to do. I am sorry for the incovenience caused to you inadvertantly. As the name suggests, "Hot Avakaya" recipe is intrinsically hot which many people from the Central, East and North India would find it to be TOO HOT!! If you are from the Central or Northern part of India and have recently pickled it (because you get raw mangoes even till end July), allow about a month's time for crossing of hot, salt and sour tastes before you taste Avakaya. If you are tasting the pickle after one month, and yet feel it to be very hot - I presume there is very little option to rectify the problem. Your attempt to rectify the problem, would in fact compound the problem and you are likely to end up with a huge quantity of Avakaya pickle. Best would be to find a Telugu friend and gift the pickle, who would be too happy to have it. 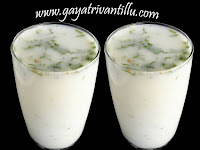 In Andhra, this recipe is taken as an accompaniment to Curd / Dal Rice. It's seldom taken as a main dish. You may try it as an Andhrite takes and enjoy. I have used Chilli Powder available on the counters of Super Markets. I hope you haven't tried to get the best and the hottest of the chillies and got them ground to pickle. With passage of time, the hotness reduces. You may try to taste your Avakaya after some more time and thereafter decide the future course of action. Thank you for your response.I am from the outskirts of Delhi from Gurgaon. Yes it is too hot for our tastebuds although my husband whose family spent several years in A.P. finds it very authentic in taste yet difficult to eat and besides the pickle is very fresh -about 10 days old.I will wait for it to mature or gift it to my sis-in-law who has an Andhrite son-in-law !!! !I used normal chilli powder available in good stores.In the meanwhile I have pickled some more as mango season is almost ending (with ur recipe) reducing the chillies drastically.Kind regards P.S: Garu means ??? I am pleased to inform that I made more Avakaya without any chilli powder ( 1.750kgs) and after sunning it for a few days mixed with little oil and then mixed it with the HOT!!!!!! version I had made earlier. Now it is okay and very enjoyable. Keep up the good work. your idea of starting such a helpful site is great.I readmost of your articles including bikshamdehi. way you make the videos are great. I tried mailing you in thelugu with a query on avakaya. I tried it looks little watery and is very hot. partly due to the fact that we dont use mirchi in our daily cooking. can I add jaggery now? Your avakaya is watery probably because of more "oota". To balance this, you need to add more of avakaya masala. But this contains even chilli powder. Since you feel the avakaya is already hot, you may deduct chilli powder and use only mustard powder and salt. Adding jaggery may lessen the hotness, but makes it more watery. gayatri aunty,hello i am niha, i love all your videos especially pickles yum!!! i love pickles especially andra mango pickle they are so yum!! but i always thought of what the preparation would be, after seeing your videos i am thinking of trying.your videos are amazing. i also came across a video called Avakai ( or avakaya ) Mango Pickle Making Made Easier video which i saw in oldernwiser0's Channel on youtube, in that they said that mineral water should be added at the last﻿ into the pickle jar after adding oil. dont u think it will spoil the pickle. any food if we want to preserve we should never added water to it. why is the water added? and wont it spoil the pickle? I can help you with my recipes!!! I live in Romania. I tried some recipes you have on your website. gayatrigaru im priya. nenu meru one mango ki ehhina list to avakaya prepairchesanu. salt koddiga ekkuvaga undi. 3 days taravata kalipi chusanu salt ekkuvagane undi . can i add karam?. I think, you have forgot to add garlic in Aavakaya. Its a personal choice. You can substitute chick peas with Garlic. I wish, you add some receipes of village style nutritious one, like raagi sangati, Sodha sanganti, kudumulu, Munnakaya rasam (soup), Chintakku pappu,pulakura,Mushroom curry,etc..
Keep it up....only few people like u are able to keep tradition going!!!. put your email id, i will send some of very rare telugu receipes of my Amma.. you can prepare and make everyone happy & proud!!!! Thank you for the andhra avakaya recipe. It turned out very well. Before I tried your pickle recipe, I tried several other pickle recipes that didn't come out as well because no one specified ingredients by weight as you did. Having mangoes, salt and chili powder by weight really helped. I hope to try your lime pickle recipe next. I am sure you would have heard this comment many times being a good Andhra food lover I must say it again but in our language "Adirindandi.. asalu meeru use chesthunna pathralu deggara nunchi chuppette kitchen varaku anni chala homley ga vunnay. 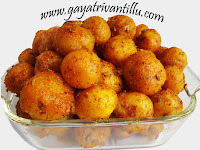 Avakayani chethi tho kalipe taste spoon tho kalipithe raadu..alane..Telugu vallu chesina vantalu..inkevariki ravu. So whatever it is your dishes and your idea both are simply superb. Pandagala package kinda dishes chesthe baguntundi ani na idea. i tried your avakaya mango pickle and it came out excellent. My family liked it very much. Thanks for your wonderful receipe. Hats off to you for the amount of patience you have in explaining the method of preparation to the minutest detail. Even a first-timer in the kitchen will make it a hit. And to end it all, your " Vivaha Bhojanam" tune is simply marvellous.